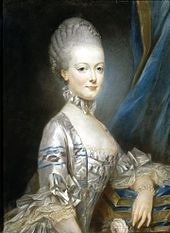 On this very day 220 years ago, Marie Antoinette was executed on Place de la Concorde in Paris. She was found guilty of treason the morning of October 16 1793, and was beheaded at 12.15 that very day. She was just weeks before her 38 th Birthday, and her Husband had already been executed as well. A true Queen till the very end. Indeed, it is these demanding and challenging situations that show us the genuine nature of our character. I guess all we can say is that Marie Antoinette, despite the controversities surrounding her, revealed her true, royal essence.